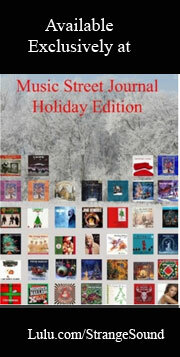 I've reviewed two other singles from this artist in this issue of Music Street Journal. This is the second of the three to be released. This is perhaps less proggy than the other two That said, it's also more like Kate Bush than either of the other singles. Either way, it fits in the prog section, I think. This comes in with a bit of a bouncy, tentative approach. This has a lot in common with Kate Bush as it works forward. The artsy elements really build and grow on this piece. It has some classical textures in a lot of ways, particularly when it drops back later. It fires out into some rocking, dramatic proggy stuff further down the road.